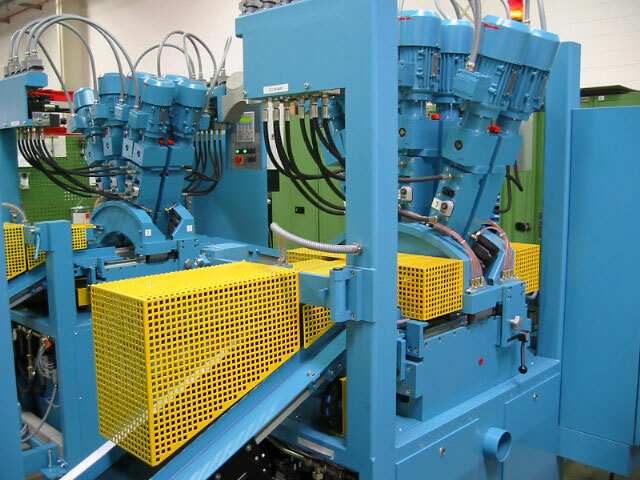 We have designed this machine with two drilling platforms for high volume heavy duty commercial brake block production runs with up to 1200 pieces per hour. The BT-2 utilizes the latest in SIEMENS electronics. 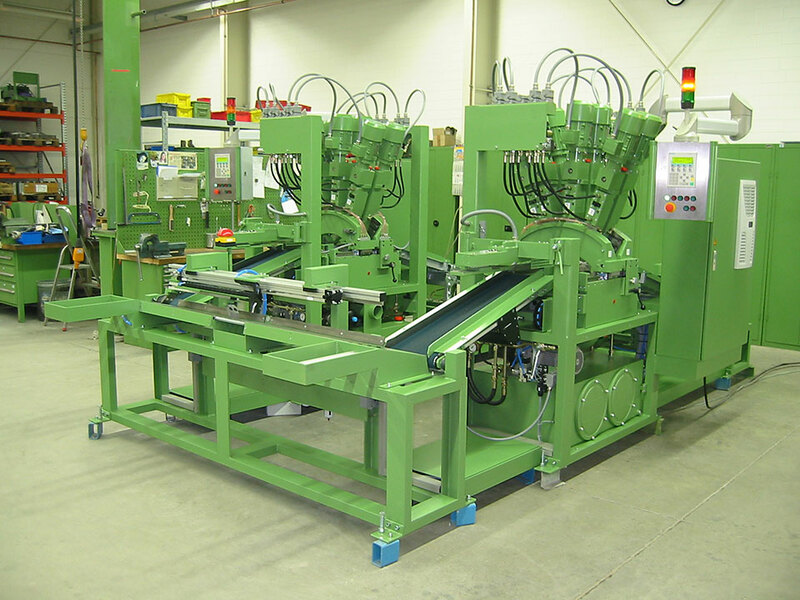 The cross movement of the support head is numeric controlled, the distance between the drill units is adjustable. The angle positions of the drill units are fixed. 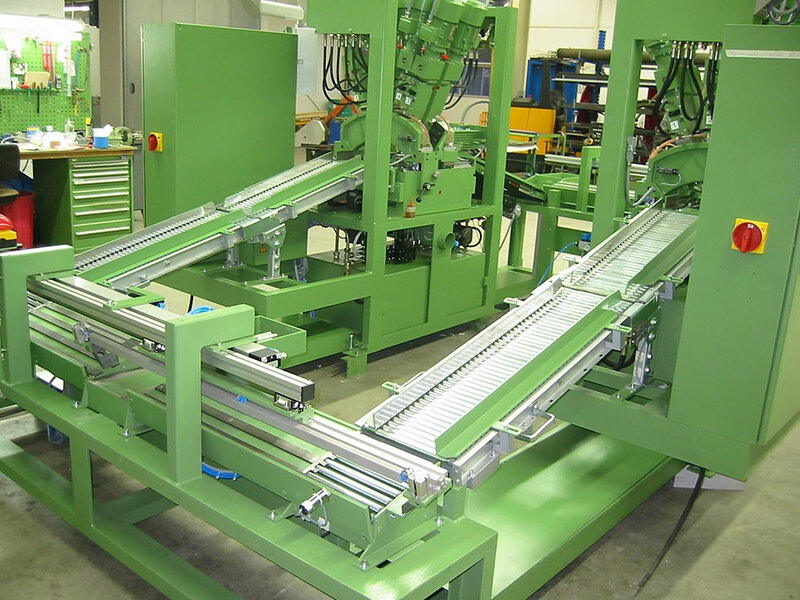 Each unit is hydraulically and electrically controlled and has its own driving motor. That means, all different variants of patterns can be drilled. 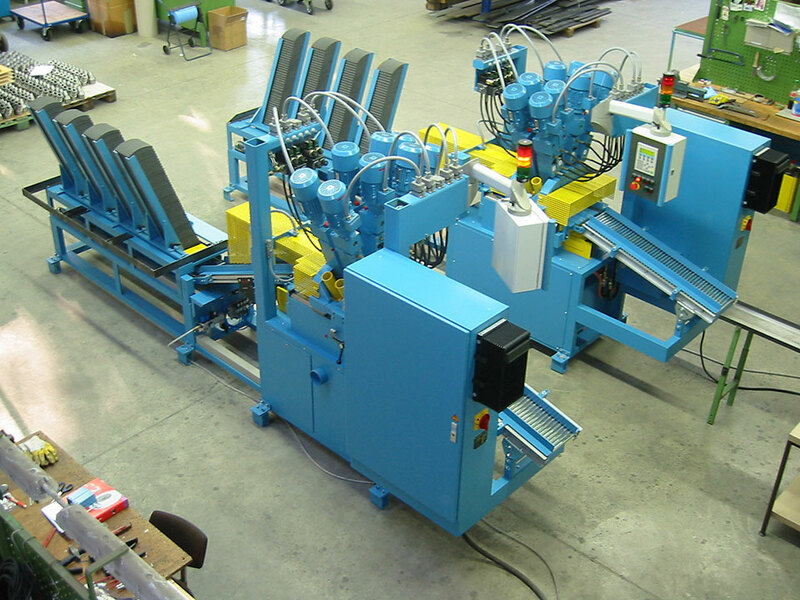 Two-row linings will be drilled in one stroke , four-row linings in two strokes. 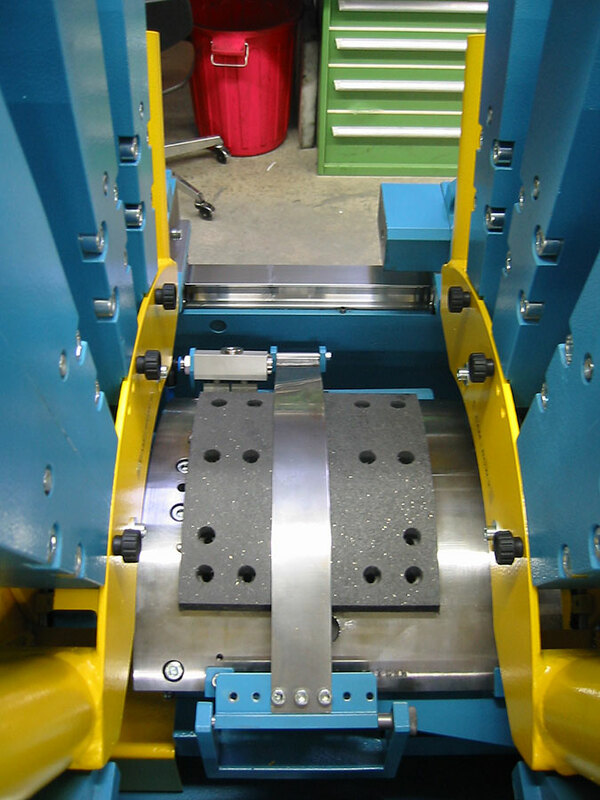 In this case the support head moves according to the distance between the first and the second row of holes. The distance between the drill units is according to the cross pitch between the first and the third row. The change of the cutters is relatively easy and can be done very quick. 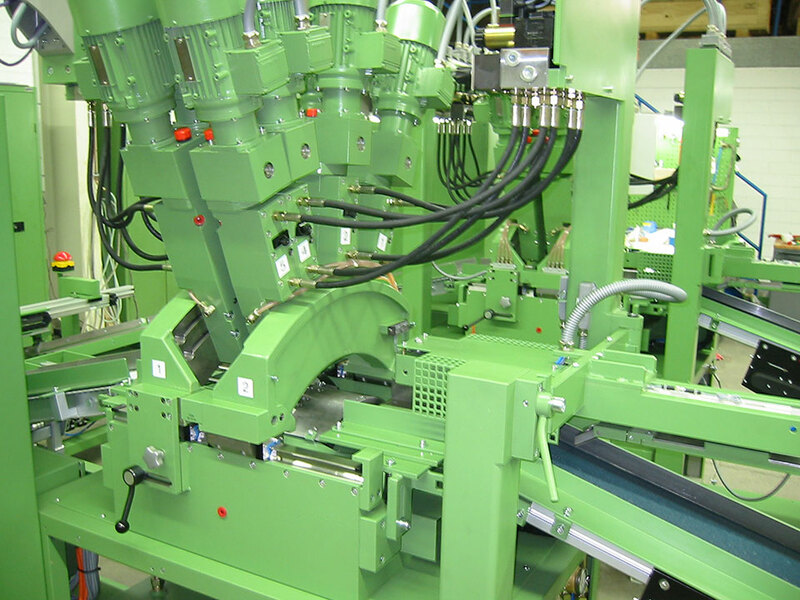 The fixing of the preset drills will be done just by turning of a clamping screw (similar to the WELDON system). 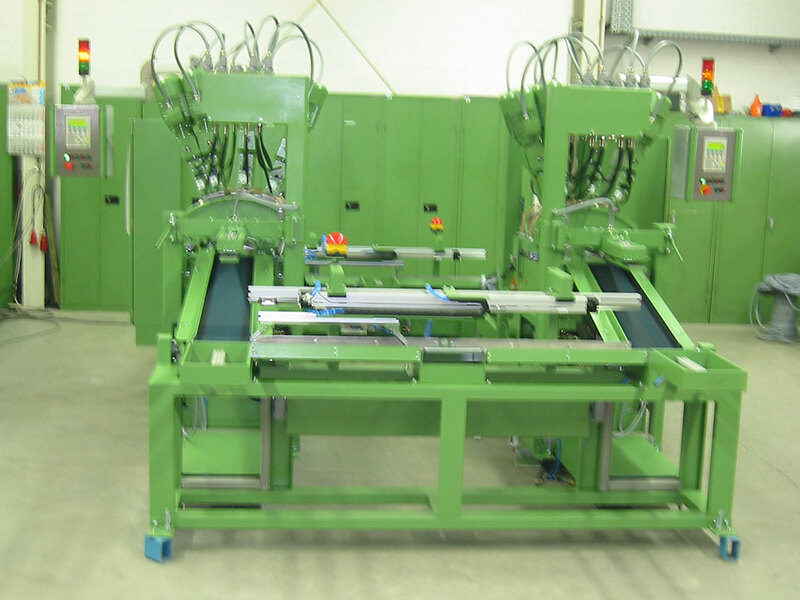 This machine can easily be adapted into a fully integrated in-line system including cutting, grinding, wear indicator and painting lines. 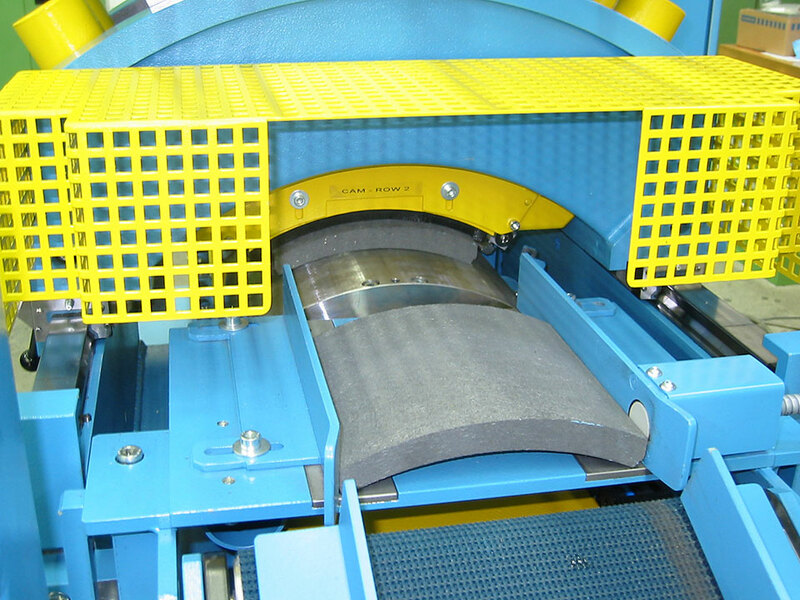 It can be accommodated either with a store in front of the machine or with a conveyor for transport of the blocks directly from the grinder: It depends on the capacity of the existing customer's grinder and on the space in the production hall.